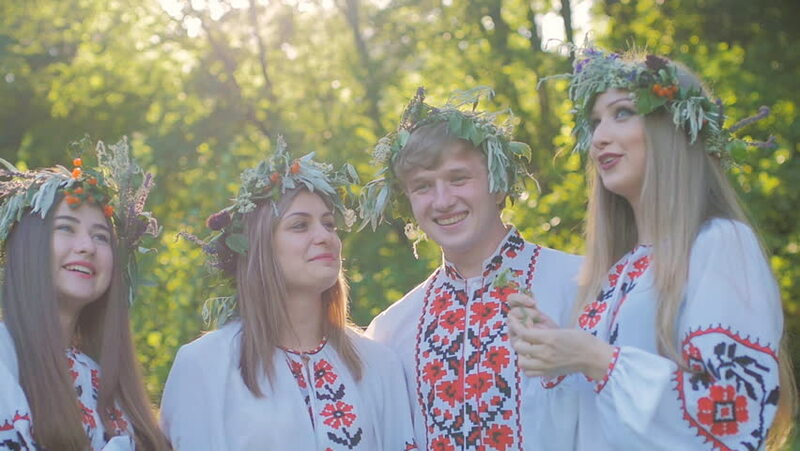 hd00:14Group of young people in national costumes Slavic celebrate the summer solstice. A group of girls and boys talking and laughing at the festival. hd00:21a group of girls and boys in the Slavic national dress in the woods smiling and talking. The celebration of the summer equinox.